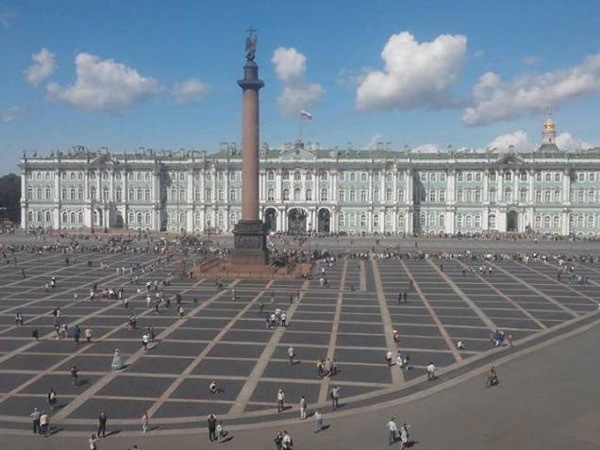 Traveler Reviews for Private Tour in Saint Petersburg, Sankt-Peterburg, Russia by Tour Guide Nikolai M.
About Nikolai M. Message Nikolai M.
Nikolai was fabulous! He helped us understand the history and culture of St. Petersburg and its people as he guided around palaces, museums, cathedrals and streets. Our 3 days allowed us to see many of those sites as well as a ride on the metro, an evening of ballet, and dinner at a local restaurant. He was knowledgeable, dependable, and patient with us. Nikolai made our three day cruise visit to St. Petersburg very easy and enjoyable. He, and Tours By Locals, were very responsive to my emails. Nikolai took care of getting our visa documents so that we had no trouble going through immigration every day; he was very prompt; he put together our shore excursion consistent with our suggestions; he made all of the arrangements in advance; he was friendly and very knowledgeable; and he spoke fluent English. I strongly recommend Nikolai as a tour guide. Hi Nikolai! So hard to believe that's been a 3 weeks since we first met. We are now home in Toronto and are thinking back on our 3 days together. We so enjoyed the time we spent together. It was very intense, so much to see and learn about Russian history! You were exceptional in your knowledge and enthusiasm not to mention you patience at our questions which -in my case-I repeated over and over again. Thank you for making our stay in St Petersburg so memorable and meaningful! Wishing you good luck! We greatly enjoyed our 3 day tour of St Petersburg with Nikolai. He kindly modified his tour itinerary to accommodate our interests and capabilities. We would not have been able to see as much and understand what we were seeing without his help. Thank you, Nikolai. Nikolai is one of the best tour guides we have had. Not only is he very knowledgeable, he was very accommodating in organising and changing our details of tours to suit our requirements. Would not hesitate in recommending his services to anyone visiting St Petersburg. Thank you Nikolai for the excellent evenings in St. Petersburg! I enjoyed visiting Elagin island and the park is very beautiful there! TOUR GUIDE RESPONSE: I am glad Natanicha enjoyed visiting different sights of St. Petersburg those evenings. Elagin island and Elagin park - favourite places for many people.